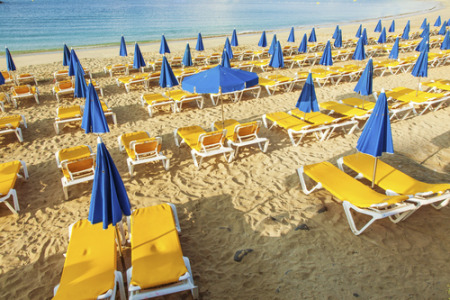 Playa Dorada holidays transport you to the sun-bleached beaches of the northern coast of the Dominican Republic. In common with many of the island's resorts, it is a gated community with facilities that provide for all your needs. Holidays to Playa Dorada can be taken at any time of year as the summers are long and hot and the winters are mild. There is a hurricane season which lasts from June until September. Holidays in Playa Dorada have wide appeal with families, and couples of all ages, flocking to its shores. It is a large, purpose-built resorts with several hotel complexes, a golf course and a range of leisure pursuits. With a soft sandy beach and warm, gentle waters, it comes as no surprise that our cheap Playa Dorada holidays are popular with families. They are considered great value as our commitment to quality and service never wavers. Our low cost Playa Dorada holidays can be as relaxed or as active as you wish with activities which include a wide variety of water sports, golfing, riding and go-karting. There are also sightseeing opportunities for those who wish to experience island life outside the gates of the resort. If you are seeking a guarantee of sunshine in a relaxed and friendly resort, you may be tempted by our Playa Dorada holiday offers. For further details and to view our best playa Dorada holiday deals, please use the search facility.